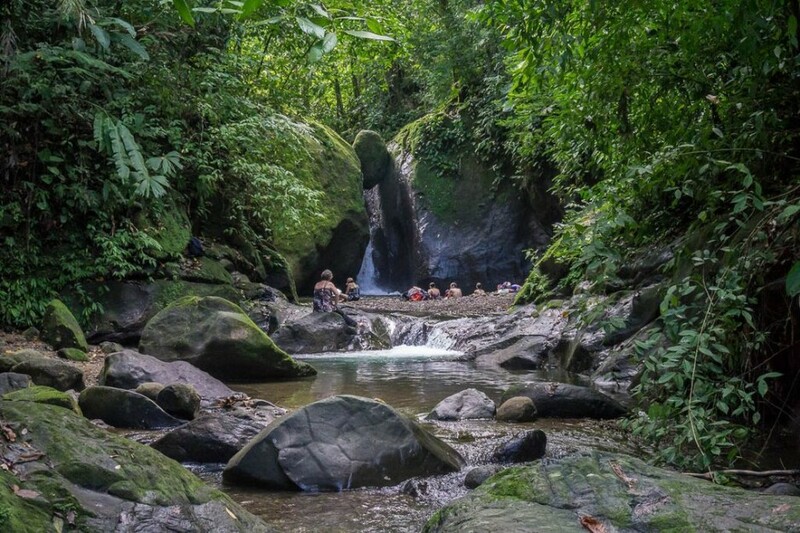 FROM SECRET WATERFALLS to abandoned sanitariums and hidden sea caves, this is the Costa Rica your guidebook won’t tell you about. 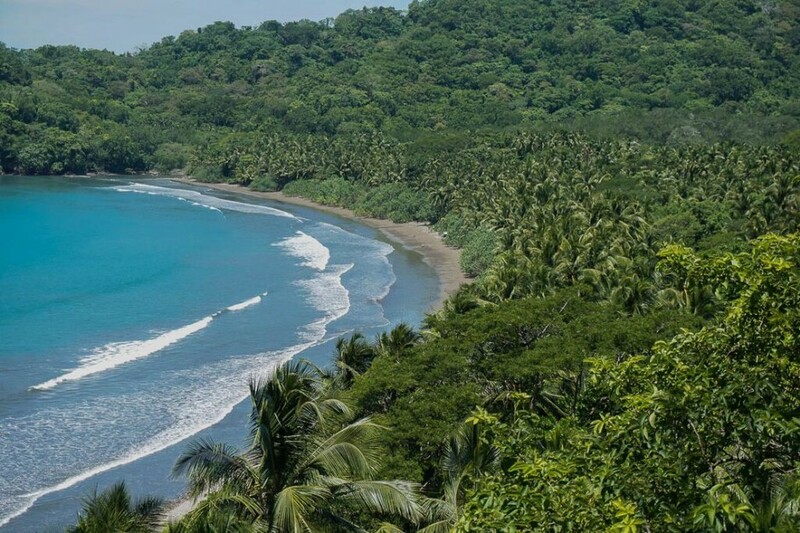 So whether you’re looking for rejuvenation through adrenaline-fueled encounters, or secluded and peaceful respite, Costa Rica’s got the remedy so you can ponerse las pilas (replace those batteries). Stand at the sandy mouth of the through caves at Playa Ventanas and become enveloped in a briny and balmy mist that whispers through the tunnels. At low tide, you can walk through the chambers echoing with crashing waves as surf trickles over your feet and arrives at the shoreline on the opposite side. The beach is wide and flat with calmer wave action than most of the Pacific due to its bowline shore. Here, you’ll mostly find families on picnics. You might be able to join the occasional mejenga (pickup soccer game) and, if you’re lucky, spot the man pushing a wooden piragua (snowcone) cart. Getting there: If you’ve rented a car, Playa Ventanas is just 5 minutes north of Ojochal off the Costanera Sur Highway (Route 34). The private access road was recently redone and opened to the public by the municipality. This means free and safer passage with inexpensive paid and guarded parking at the tree line of the beach. Otherwise, you can take a slew of buses from San José going to San Isidro del General, then to Dominical, finally arriving at Ojochal. From there, take a local bus straight to the waiting shed by the entrance — just be sure to tell the driver you’re headed to Playa Ventanas. Former president Carlos Durán Cartín was not just a politician; he was also a doctor of medicine. Inspired by his daughter who was struck with tuberculosis, Durán strived to create the best sanitarium in Central America, modeling his clinic after the Loomis Sanitarium in New York. The sanitarium had the capacity to treat over 300 patients, and operated until medical advancements rendered the facility obsolete in 1963. Falling into disrepair, the interior became a destination for graffiti artists and ghost story enthusiasts. If your hair doesn’t bristle as you creak down dusty, dimly lit corridors, it will surely stand on end when you see the conglomeration of dripping handprints of the children who were once committed to the sanitarium. Visitors still claim that they hear footsteps and glimpse the occasional specter of a nun who once treated the children. Sanatorio Durán is a nice little day trip from San José. Pack a picnic lunch to eat in the clear mountain air with panoramic views of the Central Valley, and then you could easily spend hours wandering through the complex snapping pictures of all the graffiti. Getting there: If you’ve rented a car, Sanatorio Durán is 22 miles east of San José in Cartago. Take Route 2 out of the city for 12 miles and connect to Route 219 for four more — the sanitarium sits off to the left. Otherwise, you can take the bus from the National Theatre downtown towards Irazú Volcano and hop off before reaching the end of the line. Though public transportation is a possibility, private transport is a much easier way to reach this destination. Costa Rica is home to eight recognized indigenous groups. Just inland from the Caribbean coast between the southern towns of Cahuita and Puerto Viejo, you’ll find Reserva Indígena Kéköldi — an offshoot of the Bribri tribe. The community consists of several matrilineal clans dispersed throughout the 5,000+ hectares of primary and secondary tropical rainforest. At the reserve, you can learn about the tribe’s historical relation with the cacao plant while you sample the Kéköldi’s traditional welcoming offering — a cup of steaming hot chocolate, freshly picked, roasted and brewed in front of you. This will serve as a springboard to understanding the Kèköldi’s traditional ways of living in harmony with the natural world that surrounds them, respecting above all else the plants and animals of the forest. 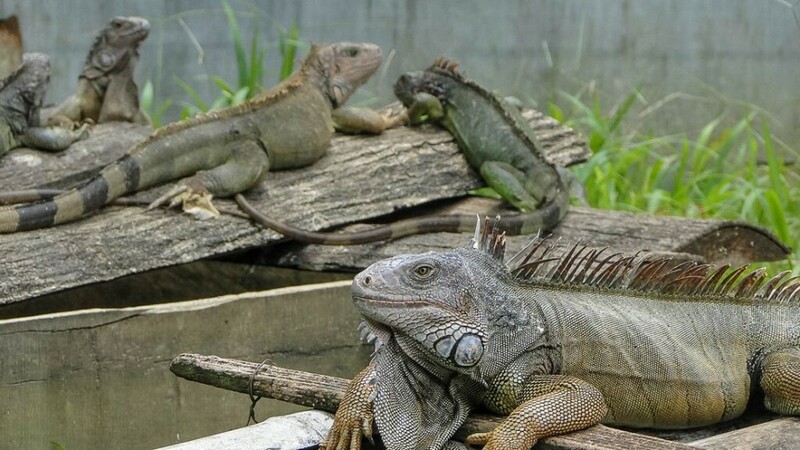 You’ll also have the opportunity to explore their green iguana farm that helps to repopulate their dwindling numbers in the wild, and try some typical Kéköldi food — think double-smoked chicken and sweet, boiled, starchy tubers. Getting there: If you’ve rented a car, Reserva Indígena Kéköldi is 133 miles southeast of San José. Take Route 32 west and connect to Route 241 in Limón where you’ll parallel the Caribbean Sea for 7.5 miles. The reserve sits just one mile inland. Otherwise, you can take the bus from the Atlantico Norte Terminal in San José at 12th St. between 7th and 9th Ave. straight to Cahuita, then snag a short bus ride from there. The tiny town of Ojochal is the gateway to the south from the Ballena Coast heading into the thicker jungles of Corcovado. Ten minutes south of Ojochal proper is a sinuous dirt and gravel path that leads to a secluded and well-shaded waterfall — Cascada Pavón. Lounging in its cool aqua whirlpools while admiring the egg-shaped rock perched between two boulders just above the waterfall is like nature administering a shot of vitamin B…especially in the dry season (November to April) when the midday sun is best to avoid. You can take that energy and focus it on climbing the rest of the way up the mountainside (4X4 and off-road experience highly recommended), where you’ll find sweeping views of the Pacific with dense estuaries and mangroves to the south and a whale’s-tail-shaped peninsula jutting out from the coast to the north. Expect to see migrating humpback whales from December to April and July to November — this stretch of coast is a major corridor for marine mammals. Getting there: If you’ve rented a car, Ojochal is 79 miles south of San José on the newly paved Route 34. Otherwise, you can take a variety of buses from San José to San Isidro del General to Dominical then onto Ojochal. From Ojochal, continue south for 10 minutes until you see a sign for Hotel Tilapia. Just across from the hotel you can take a short walk through the forest and arrive at the waterfall in a couple of minutes. Sometimes a primal rush of adrenaline can make you feel like a new person — sharpened senses, increased limberness, heightened cognitive efficacy. Sometimes that fix comes in the form of three-foot rows of staggered teeth, 16 feet, 800 pounds of prehistoric muscle, and the strongest bite force among terrestrial animals (3,700 pounds per square inch). 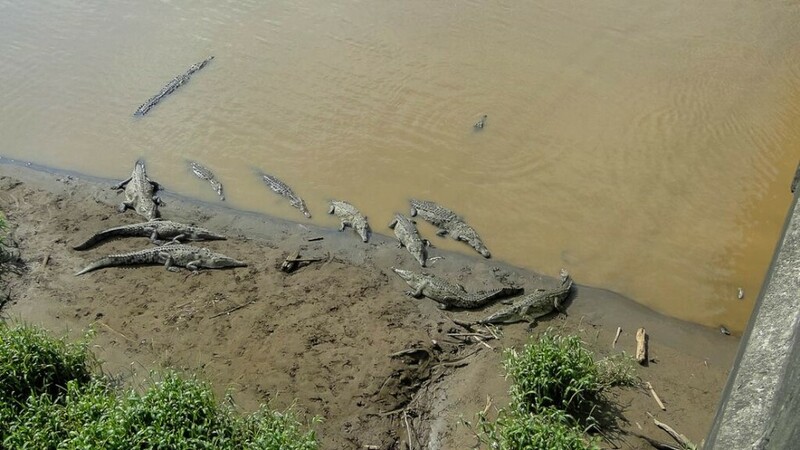 The Tárcoles River is home to a community of American crocodiles, with the more aggressive crocs congregating under the Tárcoles Bridge. Sightings are more common than not and have even spurred generational family businesses of daring croc tamers. You can relax and watch safely from a distance on the bridge, but if you’re looking to get up close and personal, you can find outfitters in Jacó who will take you out on a croc-proof boat along the river for a couple of hours. Getting there: If you’ve rented a car, the Tárcoles Bridge is 50 miles west of San José and takes a little over an hour to get to: Take Route 27 East out of San José and connect to Route 34 South (also known as the Costanera Highway). Otherwise, you can take the bus straight to Tárcoles from Terminal 7-10 at 11th Ave. and 8th St. in downtown San José. Curú is perhaps one of the hardest-wrought wildlife refuges in all of Costa Rica. In fact, this particular area — just south of Paquera on the southern tip of the Nicoya Peninsula — was the first of the entire peninsula to be developed. Federico Schutt de la Croix — son to a German railroad magnate and a Louisiana state founders heiress — bought the tract of land in 1933 and began a sustainable timber and agricultural business with the hopes of preserving the area’s natural beauty. As laborers began to settle in an informal community, they began having families, which in turn spurred the need for schools. Doña Julieta de Valle arrived as a schoolteacher in the ‘50s and met Federico. The two fell in love and married, having three children of their own. Together, the family developed environmental programs — like scarlet macaw reintroduction, spider monkey rehabilitation, and reef restoration — that have stood the test of time and attract researchers from around the world. Federico has since passed, but Doña Julieta still lives in the same house that the two built the wildlife refuge around at the very beginning. Explore the myriad trails to observe wildlife, or take a short boat ride out to Isla Tortuga to see the reef and concentrations of tropical fish so dense they’re like underwater confetti. You can also see old black-and-white pictures in the visitor center of the pioneering days, and Doña Julieta with her beloved pet — a wild ocelot kitten. Getting there: If you’ve rented a car, Refugio Nacional Curú is 96 miles west of San José. Head south towards San Ramón and take Route 1 towards the port town of Puntarenas, where you can take a short ferry ride across the Nicoya Gulf to Paquera. Disembark onto Route 621 and head west for 6 miles — you’ll find the entrance on your left. Otherwise, you can take the bus from San José at the Parada Buses Sabana Cementerio station to Puntarenas, hop on the same ferry, and grab a bus from Paquera center to the refuge.